On Monday, attorneys representing victims of the 9/11 attacks filed papers alleging substantial Saudi financial support for Al Qaeda and terrorism, including a plan to shoot down Air Force One. This Saudi support supposedly continued up to shortly before 9/11. Donors included leading members of the royal family. These extraordinary allegations came in rare testimony from behind the walls of a Supermax prison by the so-called “20th hijacker,” Zacharias Moussaoui, a convicted Al Qaeda operative. Mr. Moussaoui’s testimony, if judged credible, provides new details of the extent and nature of that [Saudi] support in the pre-9/11 period. In more than 100 pages of testimony, filed in federal court in New York on Monday, he comes across as calm and largely coherent, though the plaintiffs’ lawyers questioning him do not challenge his statements. One of the people Moussaoui says he met as an Al Qaeda representative was Prince Salman, who in January became the new king of Saudi Arabia. Others he claims to have met include Turki al-Faisal, who at the time was Saudi intelligence chief, and Prince Bandar bin Sultan, the longtime Saudi ambassador to the U.S. Both Turki and Bandar were very close with George H.W. Bush and his family. At the time of the 9/11 attacks, George W. Bush was president of the United States—and in what was seemingly a chilling accident of fate, was in Sarasota himself on 9/11. His brother Jeb, now a leading contender for the presidency of the United States, was at the time the governor of Florida. [T]he extent and nature of Saudi involvement in Al Qaeda, and whether it extended to the planning and financing of the Sept. 11 attacks, has long been a subject of dispute. That may be so, but the Times, like the rest of the traditional media, has ignored earlier evidence of deep Saudi royal ties to the 9/11 attacks—evidence that isn’t dependent on a man whose sanity has been questioned. Back in 2011, a small non-profit news outfit in South Florida, the Broward Bulldog, which does primarily local stories, published an article that also appeared in a major traditional newspaper, the Miami Herald. Despite the story’s explosive content, it was widely ignored. That article revealed that a well-heeled Saudi family, living in a gated community in Sarasota, Florida, had direct connections to the hijackers. Phone records documented communication, dating back more than a year, between this Saudi family and the alleged plot leader, Mohammed Atta, his hijack pilots and 11 of the other hijackers. In addition, records from the guard house at the gated community showed Atta and other hijackers had visited the house. The family left the country abruptly just before the 9/11 attacks. Family members abandoned enough valuable possessions—such as three cars—to testify to the speed of their departure. The article also revealed that the FBI had quietly investigated the family and documented numerous interactions between them and the alleged hijackers. They, however, neglected to tell Congressional investigators and the evidence didn’t appear in the 9/11 Commission Report. You might think these revelations would attract widespread attention, considering that 15 of the 19 purported hijackers were Saudi citizens. Yet the Bulldog story generated barely a blip. Next, our small non-profit news outfit, WhoWhatWhy, which covers primarily international and national investigative stories, took the reporting to another level. Our story established that the owner of the house, Esam Ghazzawi, was a direct lieutenant to a powerful member of the Saudi royal family who’d learned to fly in Florida years earlier. Ghazzawi was director of the UK division of EIRAD Trading and Contracting Co. Ltd., which among other things, holds the Saudi franchise for many multinational brands including UPS. Ghazzawi’s boss, the chairman of EIRAD Holding Co. Ltd., is Prince Sultan bin Salman bin Abdul Aziz Al-Saud. A fighter pilot who also flew on a Space Shuttle mission, Prince Sultan is the son of the new Saudi king, Salman. WhoWhatWhy’s reporting raised serious questions about whether high-ranking Saudis were directly involved with the 9/11 operation, and whether the U.S. government covered up what it knew. WhoWhatWhy paid a major news distribution outfit to send our story to thousands of news outlets, major and minor, in the United States. Again, the silence was deafening. The debate about Moussaoui’s newly released testimony centers on whether he can be trusted. But there is no debate about the Sarasota evidence we uncovered. We’re still waiting for the Times, along with the rest of the mainstream media, to acknowledge that material. Whatever happened in Florida, whatever the veracity of Moussaoui’s claims, anyone with an open mind will smell enough smoke to wonder whose interests are being served by pretending there’s no fire in the Saudi-9/11 connection. For more on the Bush family’s relationship to the Saudi royal family, see Russ Baker’s book, Family of Secrets. When a convicted terrorist and conspicuous former Al Qaeda operative makes disturbing allegations, it is hard not to question his credibility. Zacarias Moussaoui conspired to kill citizens of the United States and will rightly spend the rest of his life in prison. Whatever the motivations for Moussaoui’s recent accusations of complicity by foreign agents in the 9/11 attacks, his testimony brings to light important questions. Most notable is the fact that as a nation, we have not fully accounted for the sources of funding and logistical support that enabled Al Qaeda to undertake the terrorist attacks. In answering those questions it is important to remember that in the aftermath of the attacks Congress undertook a bipartisan “Joint Inquiry into Intelligence Community Activities Before and After the Terrorist Attacks of September 2001.” This inquiry, by the Senate Select and House Select Intelligence committees, was conducted to investigate the planning and execution of the attacks and to identify any gaps in our intelligence and counterterrorism efforts that may have contributed to our failure to protect the American people. To the credit of former Senator Bob Graham, who oversaw the inquiry, the investigation was both relentless and judicious in compiling and dissecting the myriad complex relationships that supported Al Qaeda in the run up to 9/11. 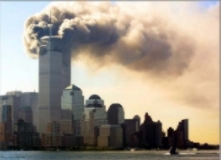 Importantly, its findings noted, “The activities of the September 11 hijackers in the United States appear to have been financed, in large part, from monies sent to them from abroad” and that “there was also reluctance in some parts of the US government to track terrorist funding and shut down their financial support networks.” The report then identified specific entities, individuals, and detailed transactions in support of those findings. However, just as the findings were to be released, President George W. Bush used his executive authority to excise 28 pages from the report, declaring them classified and refusing to allow them to be published. Unfortunately, almost 14 years after the attacks, those 28 pages remain classified and withheld from the public. I am in agreement with Graham, Republican Representative Walter Jones of North Carolina, and members of both parties who, like me, have read the 28 pages, and believe that disclosure will not jeopardize sources or methods used in gathering this information and that declassifying the findings is appropriate for a number of reasons. First, as Thomas Jefferson said, “An enlightened citizenry is indispensable for the proper functioning of a Republic [and] self-government is not possible unless the citizens are educated sufficiently to enable them to exercise oversight.” In other words, there can be no accountability without transparency. Second, I have met with spouses, children, siblings, and parents of 9/11 victims as well as representatives of 9/11 Families United For Justice Against Terrorism. They have provided powerful and heart-rending testimony of how important it is to seek the truth and bring to account all those who were responsible for the 9/11 attacks. Third, at a time when the world continues to face challenges from expanding terrorist organizations, such as ISIS and Islamic Jihad, Jabhat al Nusra, Boko Haram, and Al Shabab as well as Al Qaeda and its affiliates, we must be mindful of the need to bring their financiers and supporters to justice as well. We have not fully accounted for the sources of funding and support that enabled Al Qaeda to undertake the attacks. At an even more basic level, our commitment to one another as citizens in a society that values freedom and justice demands that we hold accountable those who aided and abetted the savage attacks on our homeland and the murder of thousands of innocent Americans. When that fundamental duty to protect American citizens has been breached, it is not enough to say that we will “never forget.” The military and civilian personnel at the Pentagon, the first responders and office workers in New York, the passengers and crew of those hijacked planes, and all those families whose hearts still ache — we owe it to them. US Representative Stephen F. Lynch represents the Eighth Congressional District of Massachusetts.